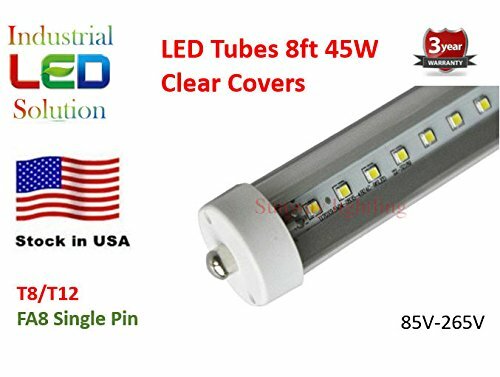 Industrial LED Solutions works directly with one of the top LED manufacturers to provide quality products and a good price. Please beware of other listings that are offering similar bulbs where the quality cannot be verified. Please insure you purchase with Industrial LED Solution. This product is the answer to your lighting problems by replacing your existing T8/T10/T12 fluorescent light bulbs. This gets rid of the expensive ballast and fluorescent lights and still allows you to use the same fixtures that are already installed. These bulbs are manufactured to last up to 60,000 hours while using up to 40% less energy. These LED bulbs shine the light directly where it is needed and not wasted by shining 50% of the light on the ceiling.